Robert Taylor lives in our home town of Seattle Washington – we love our pacific northwest! 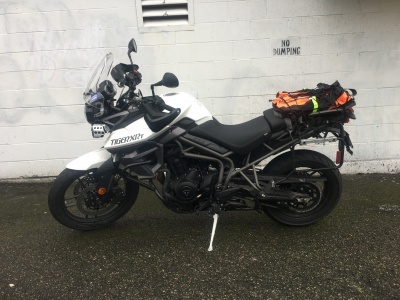 Robert just bought a 2017 Tiger 800 XRt and hadn’t even had the bike for 2 months when a car cut him off, slammed into his bike and almost pushed him into a cement wall. 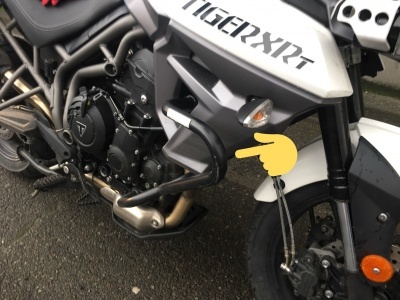 Luckily Robert had AltRider crash bars to protect him and his tiger. He contacted us to tell us how impressed he was with his AltRider Crash Bars and we just had to share his story. Robert was riding on I5 when a car swerved into him and pushed his bike close to the cement wall. Insurance says only damage to his bike was the AltRider Crash Bars - Robert’s leg is fine and so is his bike! 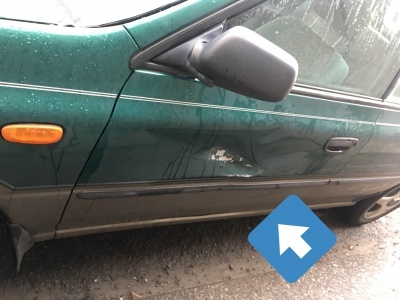 In fact more damage was done to the car than to the bike! Robery Taylor can be found on twitter using the handle @robotterror.